A man has been arrested on suspicion of murdering a Teesside woman who has been missing for eight months. 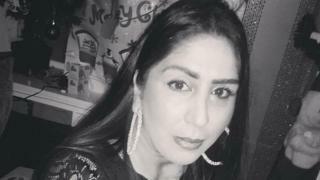 Naheed Khan, 43, from Thornaby, was reported missing on 12 June, but had not been seen by her family for three weeks before then. Police said a man, 39, was arrested earlier and a property on Angle Street in Middlesbrough was being searched. Officers have previously searched Ms Khan's home and land near the A174 outside Stockton. A Cleveland force spokesman said: "The man remains in custody and police are at an address on Angle Street in Middlesbrough in connection with the arrest. "Officers are continuing to appeal to anyone with information regarding Naheed's potential last movements to contact us." At the weekend, police said they were following 2,000 lines of inquiry and had spoken to more than 900 witnesses.